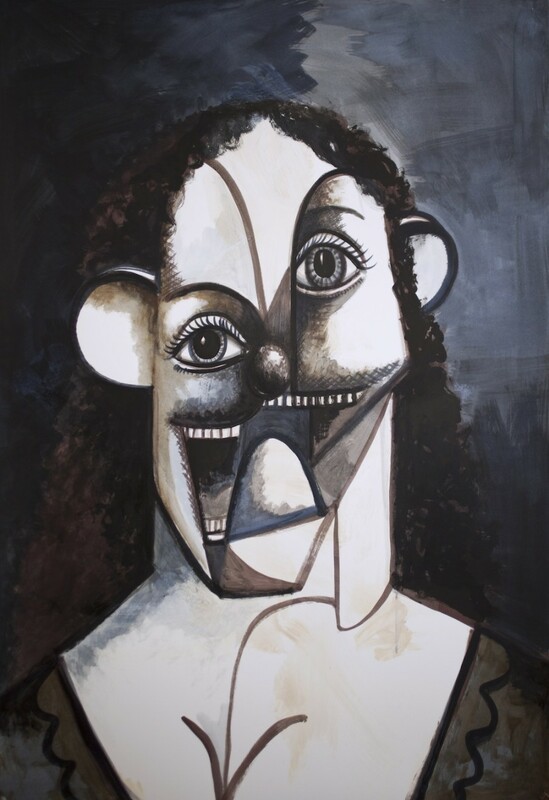 George Condo's paintings belong in the nightmarish Baroque section of a classical museum, if that museum were situated in a Cartoon Network universe. 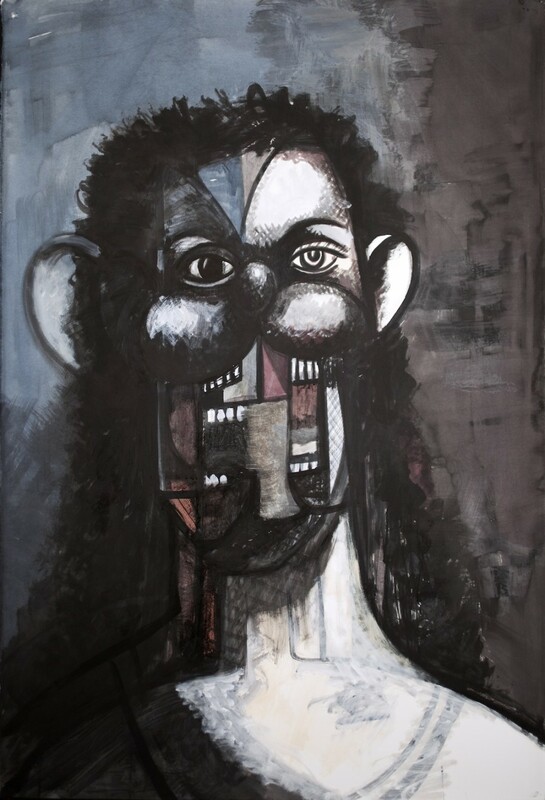 The iconic artist and master of melded forms jumbles moods, influences, styles and eras for an effect that's immediately recognizable but impossible to describe. It's the one place where Francisco de Goya meets Bugs Bunny, Picasso's "Demoiselles" meet Yeezus. Condo's newest exhibition is a gnarled romp through the possibilities of ink and paper. The series, made of ink, paper and gesso -- a white paint made of chalk, gypsum, and pigment -- explore the murky spaces between black and white. Contorted nudes writhe on the floor, their porcelain bodies giving way to beastly animal heads. 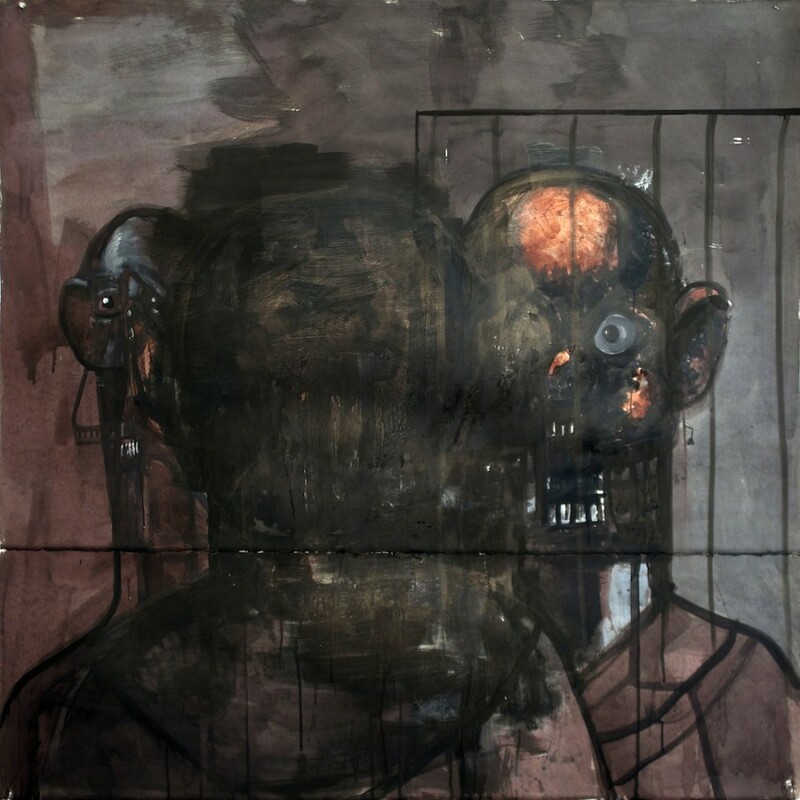 In other drawings, distorted heads with bulging eyes greet the viewer; whether said heads are bashed in or are mutating into another species is hard to decipher. 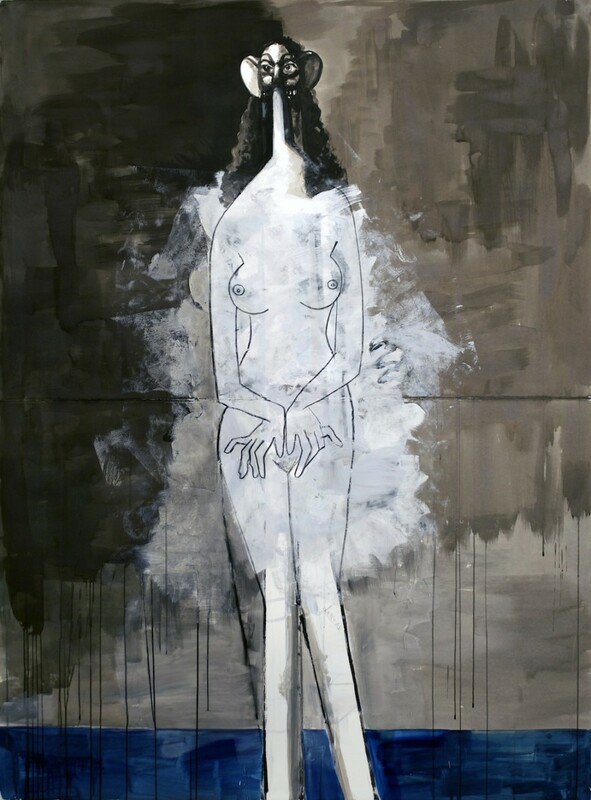 "My intention with this body of work was to explore the extreme possibilities of ink on paper," Condo explains in a gallery statement. "I used the medium to create transparent layers of colors. I thought of Rothko at times and his overlapping veils of transcendental space. 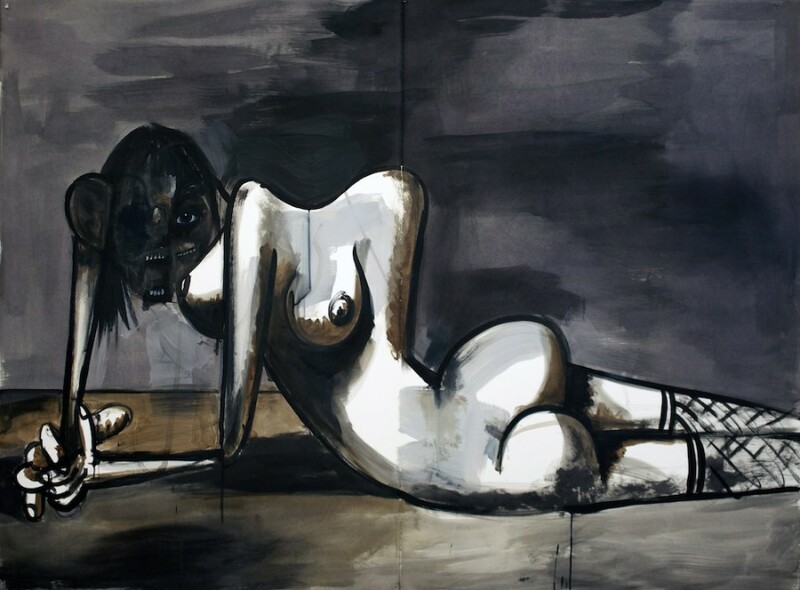 I placed the figure into this kind of space and used lines to define their ambiguous presence in the void." 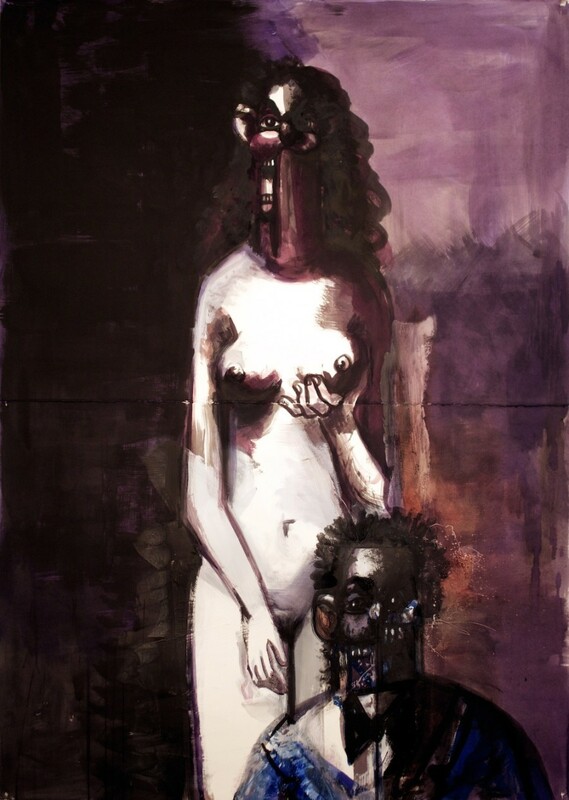 You might find Condo's drawings intriguing, or straight-up grotesque. 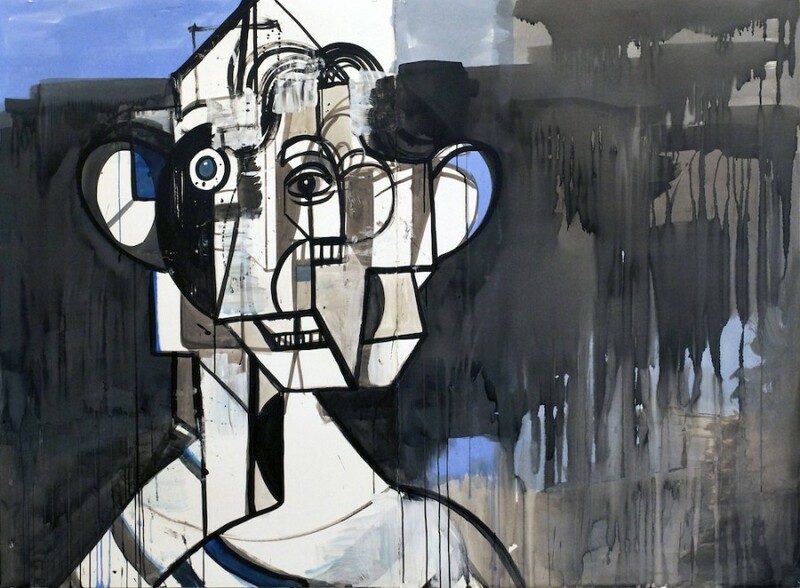 Either way, we predict you'll have trouble looking away from his contorted Cubist cartoons. See Condo's twisted visions below and let us know your thoughts in the comments. 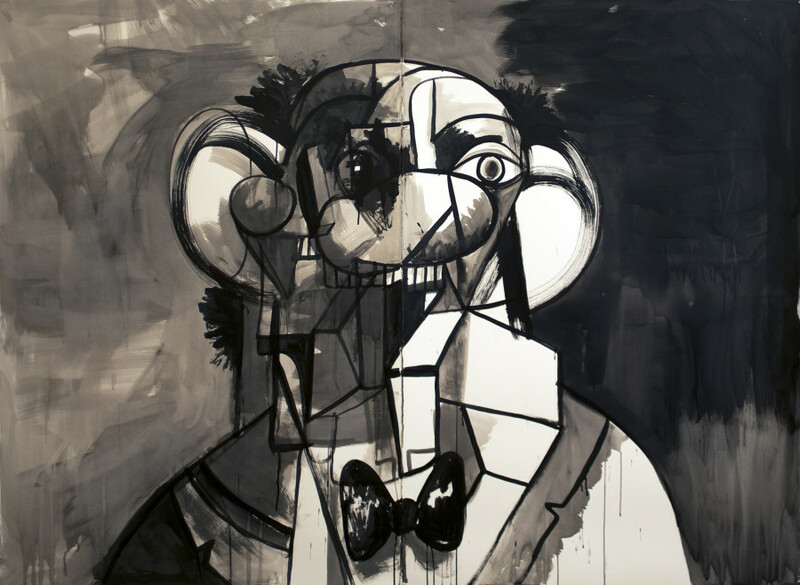 George Condo's "Ink Drawings" runs until April 5, 2014 at Skarstedt in London.